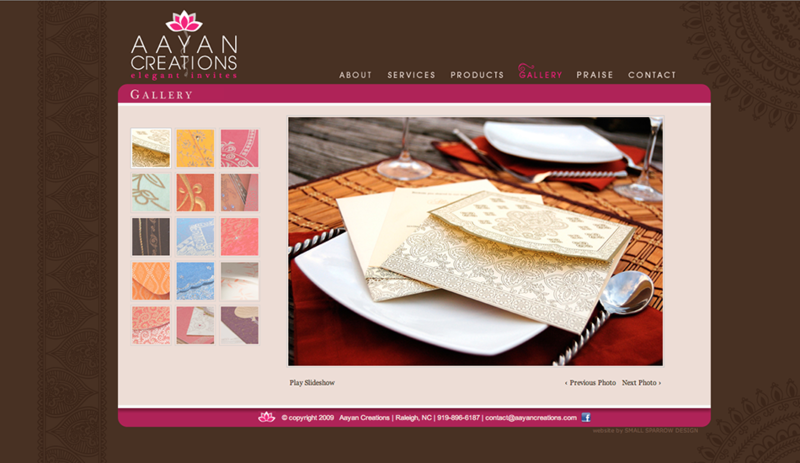 Aayan Creations is an event invitation design business that started from scratch along side the logo design and website design services offered. Because there was nothing to start with as far as identity goes, it was important to research imagery that lined up best with the business idea to show the client. The lotus flower became the winning concept and the logo was designed to capture that elegance that the client was looking for. 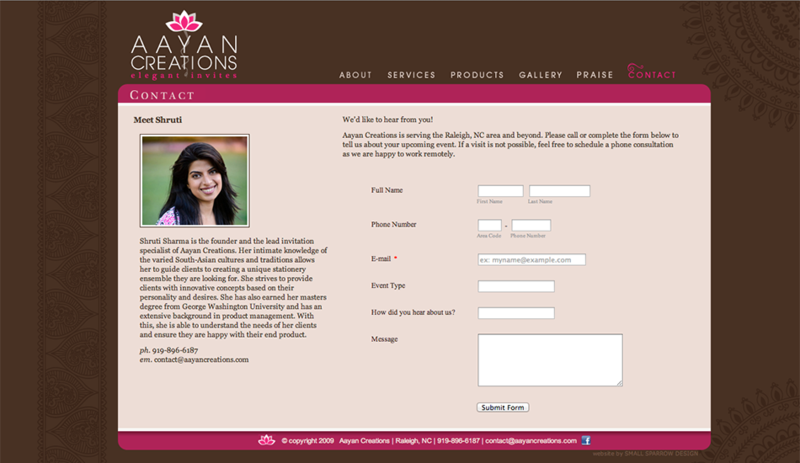 The website design is simple, but has the complexity of patterns and colors that tie it all together. 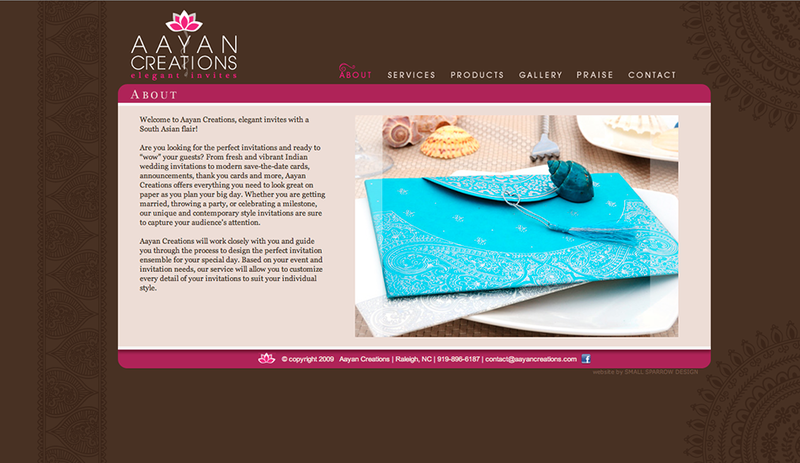 The interactive gallery, built with jQuery, is a highlight of the site that keeps viewers coming back and doing business with Aayan Creations.